Enter this summery ice pop. 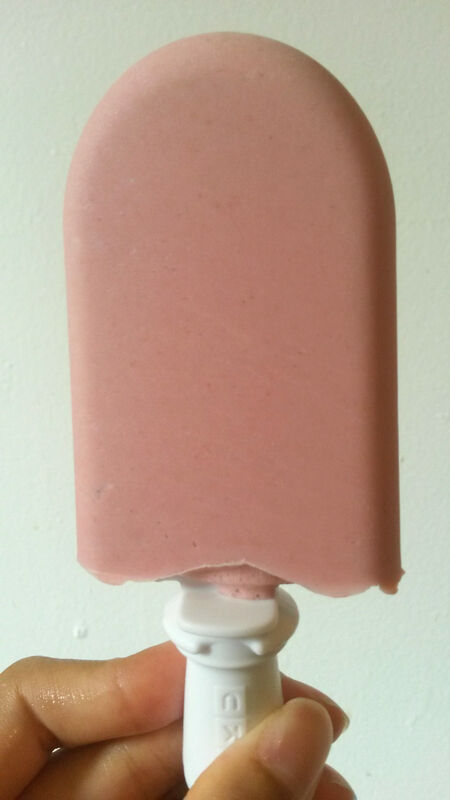 Fruity and coconutty with a splash of vanilla, this popsicle is perfect for a warm summer day and can be easily adjusted depending on your coconut milk preferences. I like coconut milk, but I don’t like when it takes the place of all dairy in a dairy-based recipe. In times when I’m desperate for ice cream but find myself without cream, I’ve followed ice cream recipes that use coconut milk as the sole source of dairy, and I can never get past the extreme coconut-milky taste that permeates the entire dessert. Coconut milk is a wonderful thing, but I suppose I prefer its presence to be a bit more subtle.